The traditional tablet market may be past its prime. Unless if you're Apple, Huawei, or Amazon, then YoY shipment numbers are likely doomed towards a downward spiral. Tablet sales have been slowly but consistently falling year after year and the latest Q2 2017 results show nothing to buck that trend. 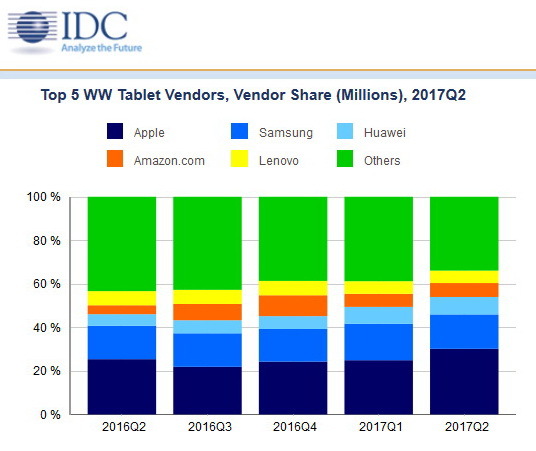 According to preliminary data from market analytical firm IDC, global tablet shipments have fallen 3.4 percent YoY for a total of 37.9 million units. 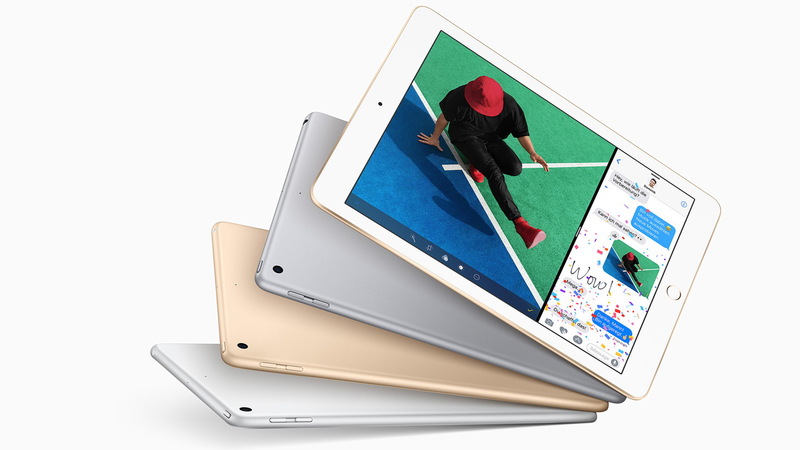 The iPad Pro and Surface Pro series continue to be highlights in the tablet market. The source is pointing fingers at the increasing consumer interest in the latest convertible notebooks like the Lenovo Yoga or HP Spectre x360 series at the expense of traditional tablet devices. Despite the downward trend, Apple, Huawei, and Amazon have all managed to grow in market share when compared to the same quarter in 2016. Amazon in particular was able to ship 51.7 percent more than it did last year to leapfrog over Lenovo as the fourth largest tablet manufacturer in the world. Collectively, manufacturers outside of the top 5 have been investing less and less in traditional tablets and market share has been plummeting quarter after quarter as a result. The tablet data comes just days after IDC made public its worldwide smartphone tracking numbers. Apple, Samsung, and Huawei dominate the top three spots in both markets. 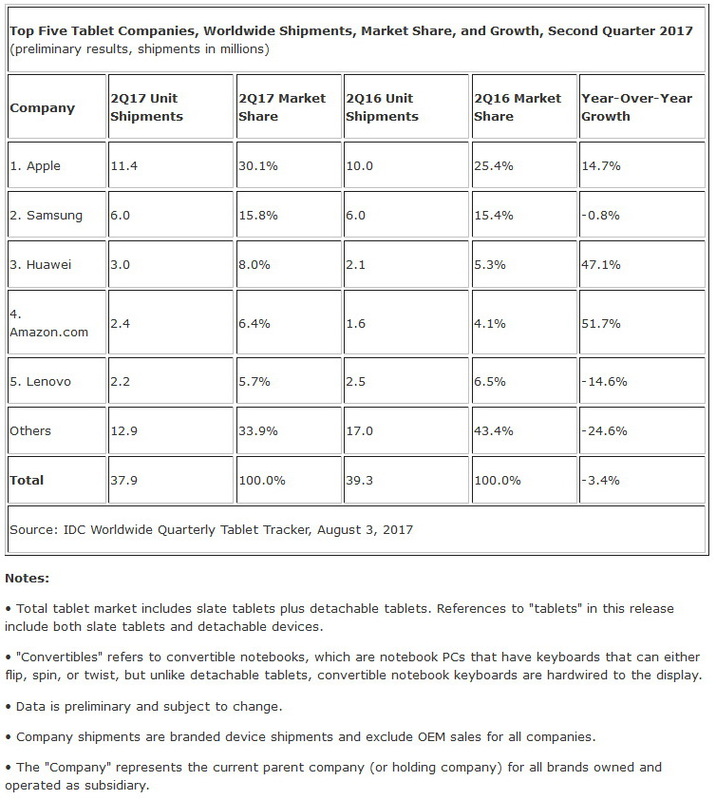 Nevertheless, Amazon's very inexpensive series of Fire tablets could rival Huawei should it continue to grow at its current explosive rate.